Maple Creek was known as Heather Hills when it opened in 1961. Design-wise it was a joint effort between Dye and wife Alice. Dye’s latest creation is at Keswick Hall, near Charlottesville, Va. I’m scheduled to play there in two weeks. 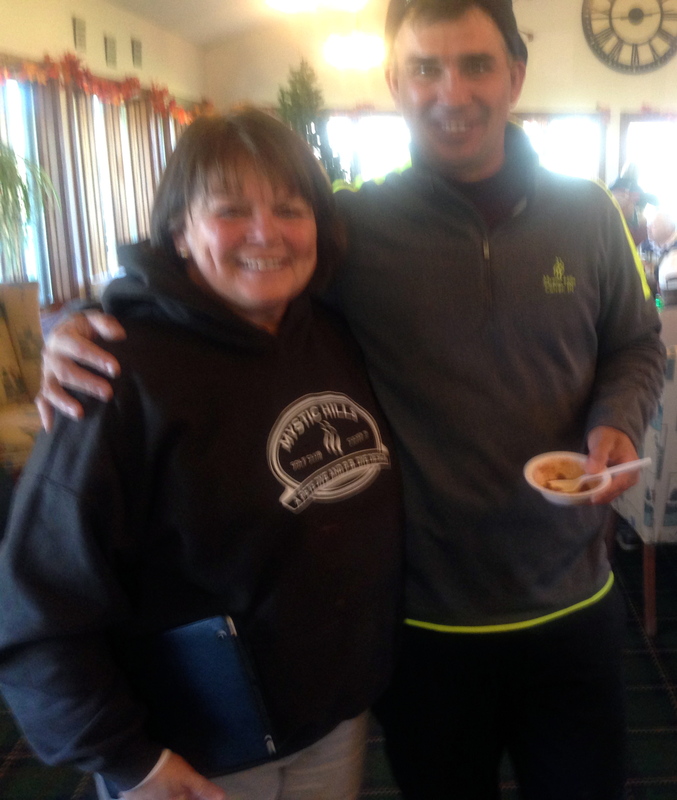 Vicki and Dave Pugh gave golfers a warm welcome on a cold day. 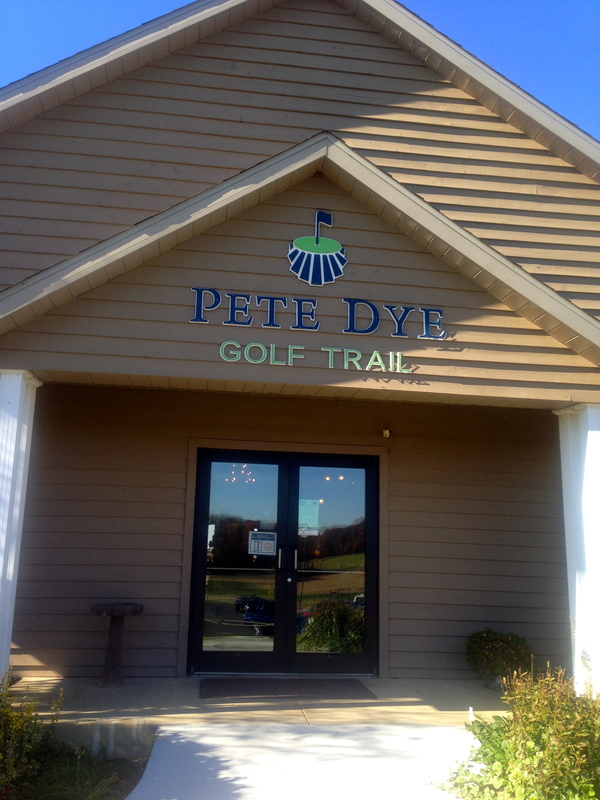 French Lick has the most challenging of the courses on the Dye Trail. Brickyard Crossing, which has four holes inside the Indianapolis Motor Speedway, is the most unusual. The Kampen Course on Purdue University’s campus in West Lafayette, was a joint effort with Purdue’s agronomy school and has hosted an NCAA Championship. The Fort, in Indianapolis, will host the Big Ten women’s championship in 2015. Plum Creek, in Carmel, is one of Indiana’s most upscale public facilities. All those have their charm and special qualities. However, the last stop for us — at Mystic Hills in Culver – was the most fun. It didn’t hurt that we got in on the aftermath of the Big Cup Chili Open event, a scramble event in which 15-inch cups were in place and a chili cook-off competition and pink beer were part of the facilities. It was a lot of laughs, to be sure. Golf needs more such events in these trying economic times. Anyway, the Mystic Hills’ course is just fine. Opened in 1998, it has a links-style look on the front nine and more challenging holes on the back. 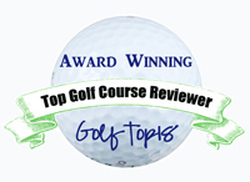 It plays 6,795 yards from the tips with a 73.0 rating. There’s some interesting sidelights to Mystic Hills. Dye has said it took only about $1 million to get this one built. 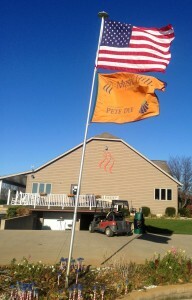 He designed it while working with his son P.B., who is still a frequent visitor to the course. 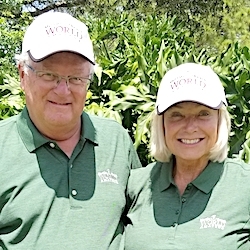 Vicki Pugh is the course’s owner and her son Dave is the head professional and superintendent. They’ve just begun the process of creating a stay-and-play opportunity at the course that is in a mostly rural setting midway between Chicago and Indianapolis. Zoning has been approved for five on-site cabins and building of two has already begun. Vicki Pugh grew up in the golf world. Her parents owned three Indiana courses and her brother, Steve Bonnell, is also a golf professional. 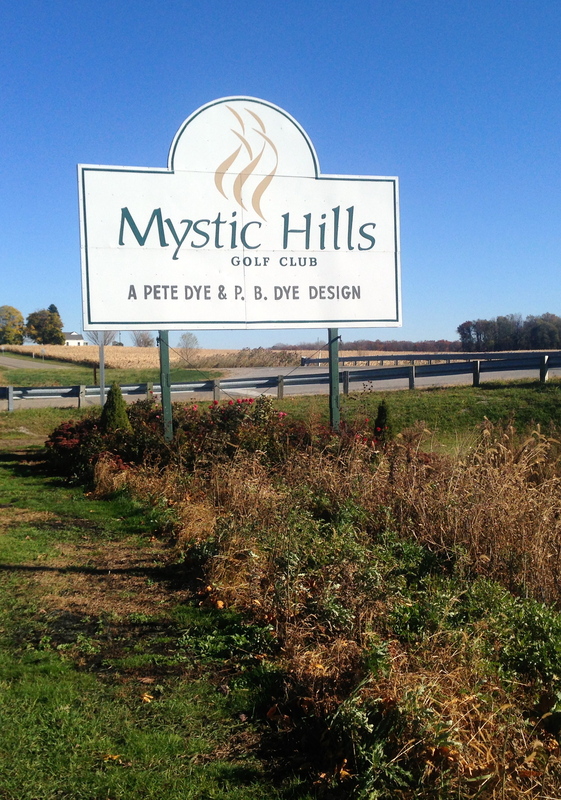 Alice Dye’s family has owned a home near the course for over 100 years and Jim Irsay, owner of football’s Indianapolis Colts, is one of Mystic Hills’ members. Playing the Dye Trail is both worthwhile and fun, but it takes an effort to hit all seven courses. 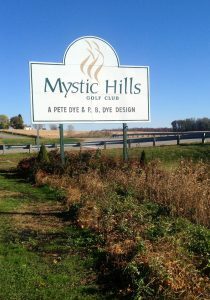 Mystic Hills is the north most stop on the Trail, and it’s 224 miles from French Lick, the southern most facility. Vicki Pugh knows of only three golfers (two of them women) who completed the trail in 2014. The range in greens fees is also interesting. Mystic Hills (from $25 to $45) and Maple Creek (from $20 to $49) are on the low end. The Pete Dye Course at French Lick (listed in the Trail Guide at $350 plus $30 per person for a forecaddie) is by far the highest. 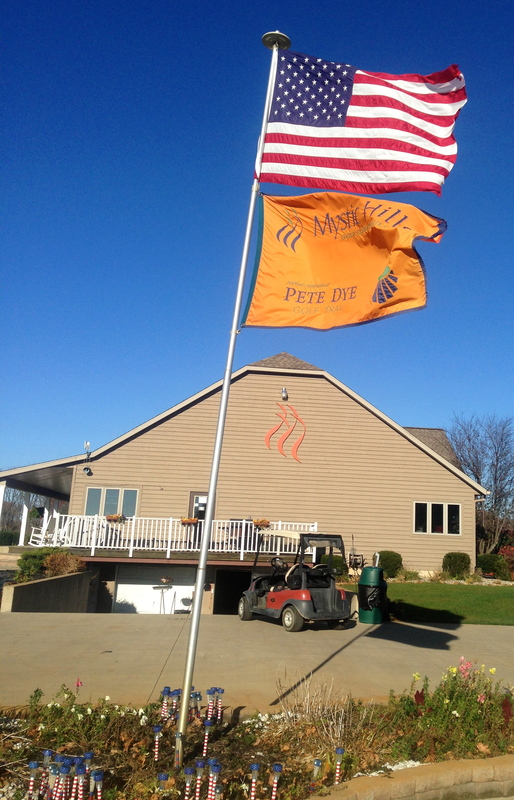 As you might guess, I’m a big fan of Pete Dye courses. There are over 300 of them world-wide, and he’s done more famous ones outside of Indiana (the Ocean Course at Kiawah in South Carolina, TPC Sawgrass in Florida, Whistling Straits and Blackwolf Run in Wisconsin to name a few). Indiana governor Mitch Daniels announced the creation of the Pete Dye Golf Trail on July 28, 2011, in an effort to make his state a golf destination. 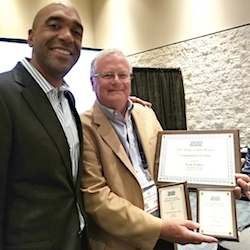 If you take on the Trail you’ll get a nice drive touching all the nice things that Indiana has to offer as well as a good dose of the golf history created by one of the sport’s foremost architects.